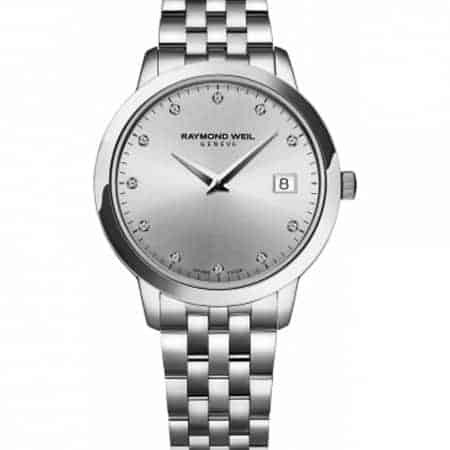 Raymond Weil is an exceptional watchmaker based in Geneva in Switzerland. 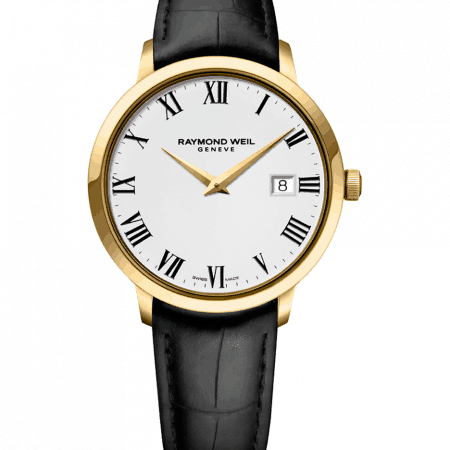 The brand has been producing fine watches since 1976 and one of its very earliest collections, Toccata, has been in production for almost as long. What has made the Toccata a modern classic? Toccata watches are characterised by their sophisticated but minimal look, with a clean, uncluttered face and strap in stainless steel or modern leather. Toccata (Italian, ‘to touch’) is named for the brand’s close connection to the world of music. 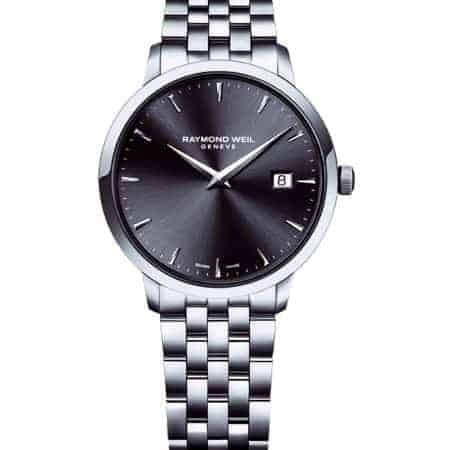 It reflects the importance of timekeeping in musical performance, an emphasis which is shared by the Raymond Weil brand. 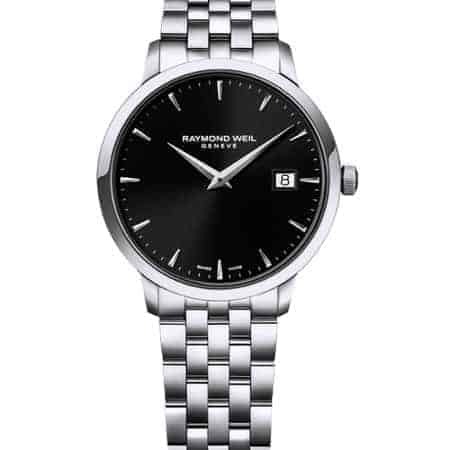 The Toccata men’s series combines a sleek, professional design with exceptional readability; this, and the sensible price point, make them perfect everyday watches. 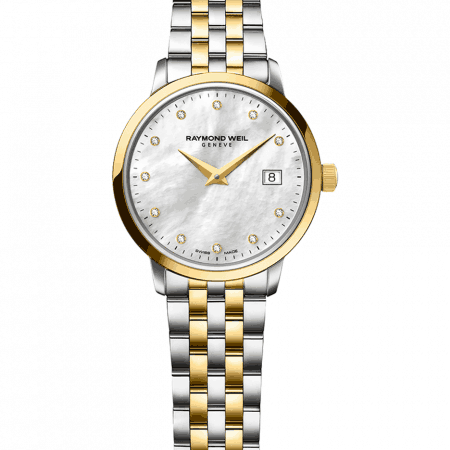 PureJewels has stocked Raymond Weil watches for many years and we continue to find them among the very best on the market. 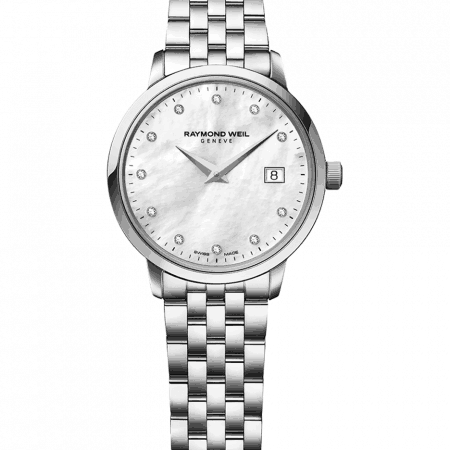 A Raymond Weil watch boasts prestigious design credentials but inside the case is equally impressive – with a beautifully-made movement upon which you can rely. 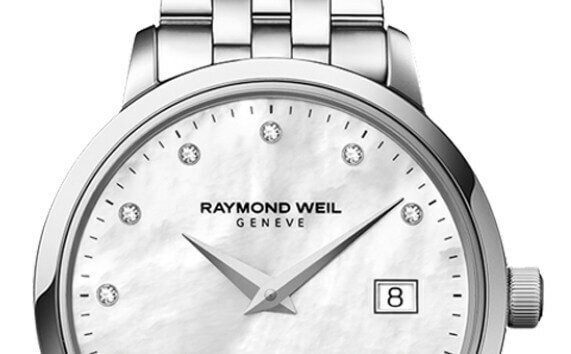 The double-push clasp, sapphire crystal dial and highly scratch-resistant PVD are all features that have been carefully considered. 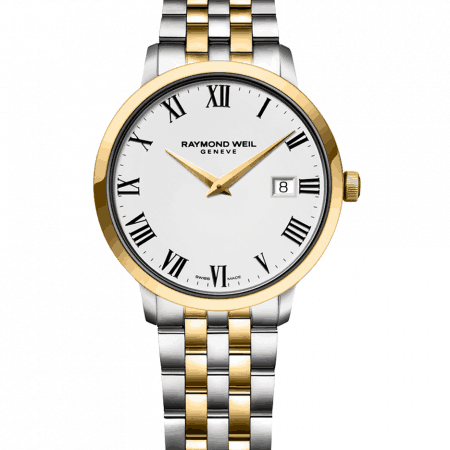 The end result is an extremely practical and long-lasting watch. 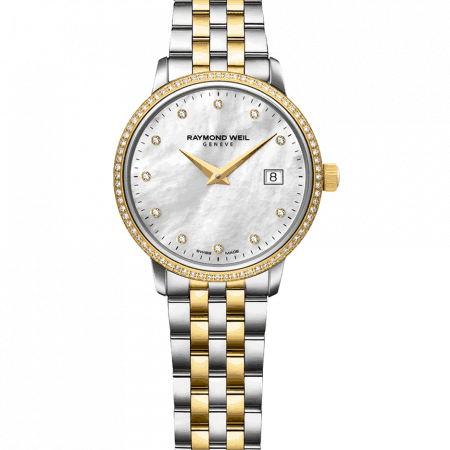 The feminine Toccata watches feature design accents such as diamonds and a charming Mother-of-Pearl watch face. 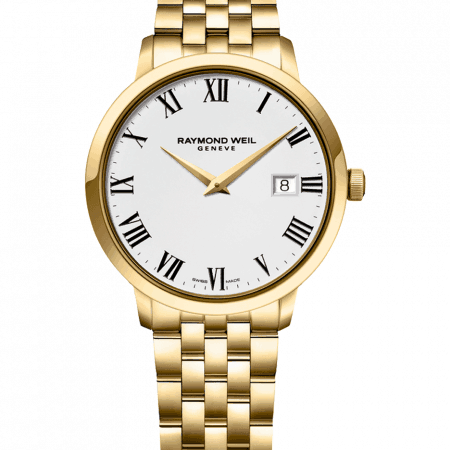 You can choose an all-steel watch (the height of chic) or a Toccata with gold flourishes for a more luxurious look. 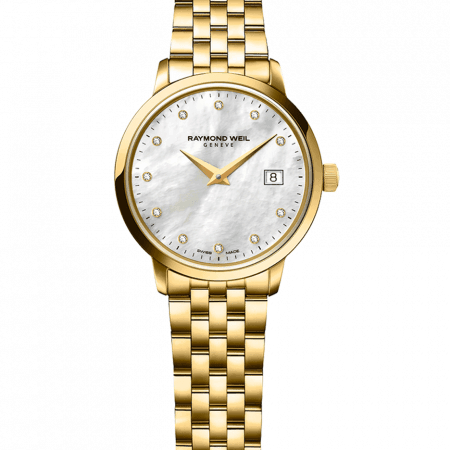 Built with reliable Quartz movement and double-push security clasp, the Toccata women’s watches are suitable for everyday wear. If you’d like to try them on please make an appointment to come to our showroom – if that’s too far then you can ask any questions you like using Live Chat.